Whoopee, it's time to party! Regular readers of my blog know that for the past few months, I’ve been hosting a quilt along for my patterns Stepping Stones and Charming Stepping Stones. I’m happy to say that I think it went well, and I’ve already have plans to host another quilt along in the fall. If you missed out, you can click the tab above to get all the steps to make a lap-sized quilt. You can also purchase a printed or downloadable pattern from my shop for making Stepping Stones in five sizes (Toddler, Lap, Twin, Queen, King). The pattern for Charming Stepping Stones (which will also be available in five sizes) is being written as we speak and should be available by the end of the month so please check back if you're interested. Both patterns are quick and easy to make, and perfect for a beginning quilter. For everyone who’s been participating in the quilt along, it’s finally time for the big reveal! I can’t tell you how much fun I’ve had with my first QAL. Thanks everyone so much for quilting along with me. Let’s start with my first version of Stepping Stones. I made it using a variety of neutral fabrics I collected last summer during the Row by Row Shop Hop. Fabrics: Neutral fabrics in cool beiges and warm grays from various fabric lines including Compliments by Grace Pullen for South Sea Imports, Riley Blenders by Riley Blake Designs, Grunge Grey and Basic Grey by Moda, and Quilter’s Linen by Robert Kaufman. I almost forgot to mention, Rainbow Connection is another finish for me, so I'm adding it to my list of finishes for this quarter for the 2016 Finish Along. Whoopee for me! Now that I've showed off my versions of Stepping Stones and Charming Stepping Stones, let’s take a look now at all your lovely finishes! Thanks everyone for supplying the great photos, especially the close-ups so we can see the quilting. Some people did not quite get their quilts completely done, but they generously shared some in-progress photos. Here they are so we can ooh and ahh and cheer them on to a great finish. Now it’s time for the giveaway. I assigned a number to every completed quilt and then let Random.org do its thing. Congratulations Mary! Your large zippered bag is on its way! For those of you who did not quite get your quilt done, don’t despair. I’m having a second Show it Off Party on Wednesday July 6th just for you! There will be a giveaway too, although I don’t know what yet because I haven’t made it yet. <grin> But you know it will be good, whatever it turns out to be. Anyway, if your completed quilt did not make it into this first Show it Off Party, then to enter the July giveaway simply post a photo of your finished quilt by midnight EST Tuesday, July 5th to the Quilting with the Inquiring Quilter Facebook or Flickr group, or to Instagram with the hashtags #SteppingStonesQAL and @inquiringquilter. Please include lots of photos--the full quilt, close-ups of the quilting, and any other details you want to share. I really appreciate everyone who helped my first quilt along be so successful. In fact, I have a gift for each of you! If you’ve finished your quilt and posted a photo, then you’ve earned a coupon for 20% off the patterns in my store. Leave a comment here with your email so I can send you the coupon. Also, anyone who posts a photo of a finished Stepping Stones quilt by the July 5th deadline will also receive a coupon as a thank you. Just be sure to attend Stepping Stones Show it Off Party #2 for more details on how to collect your coupon. In the meantime, I’ll be working on completing the pattern for Charming Stepping Stones by the end of the month, and finishing the quilting on “Rising Tide.” If you want to be notified when this happens, follow my blog! I have tons of ways you can do that so just pick the method that suits your style. If you want to follow me on social media for example, you'll find those buttons at the top of my sidebar under Come and Follow Me! 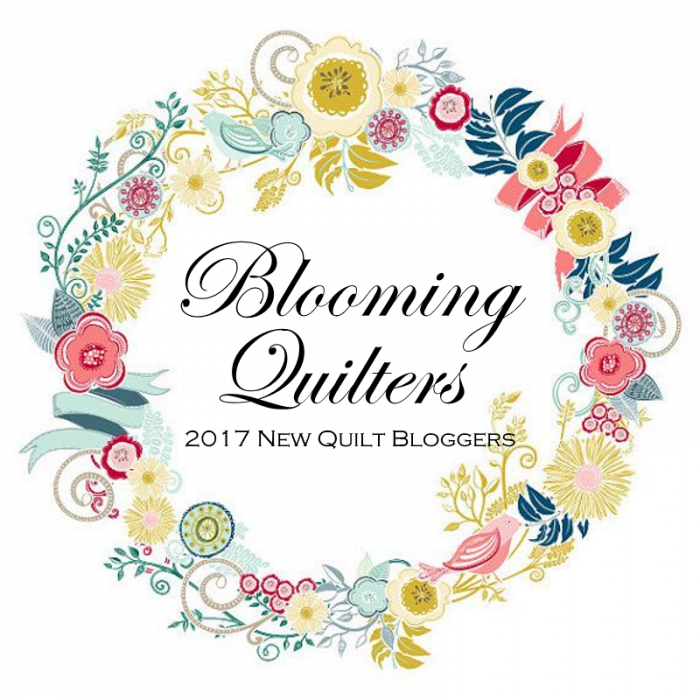 You can also subscribe to my posts through my email newsletter, Bloglovin’, Feedburner, or Quilter Blogs. Just look in my sidebar under Other Ways to Follow Me.